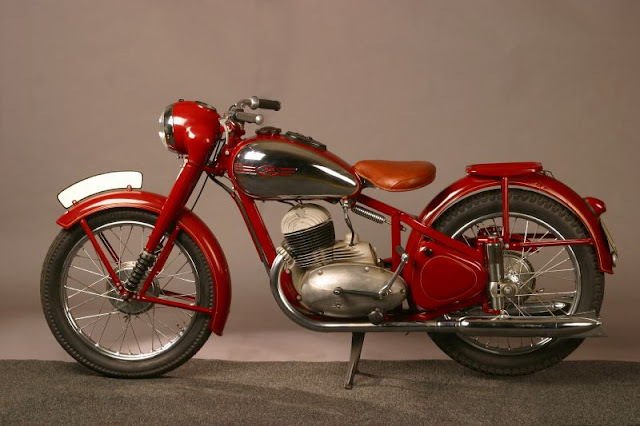 Continuing with the history of some European bikes, I’ll stay in the Czech Republic today and turn my attention to a machine that has been forever linked with the ČZ (see my earlier post; ČZ: A history of the Česká zbrojovka Motorcycle) : the JAWA. František Janeček (1878-1941) was born on 23 January 1878 in Klášter nad Dědinou, a small village in Bohemia in the present-day Czech Republic. After completing studies at the Prague Technical School and Berlin College of Engineering, Janeček returned to Prague and began working for the Jewish industrialist Emil Kolben: by the age of 23 he was appointed manager of the a new factory opened by Kolben in Holland. During the First World War he served on the Italian front, and like many engineers who survived the war he turned to designing military equipment and weapons. He quickly secured over sixty new patents, including a design for an improved hand grenade. 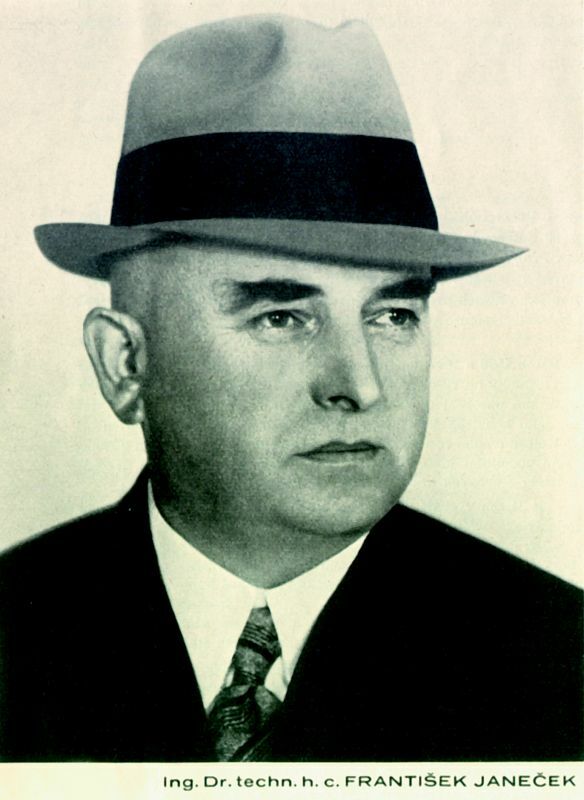 In 1927 Janeček purchased a former armament factory in Prague but facing a reduction in military contracts he decided to diversify his business. He had no specific experience with motorcycles -although he was familiar with mass production techniques- so he bypassed the idea of designing a new engine and began looking at several mid-range designs including the Austrian double piston, two-stroke Puch and the German Schliha two-stroke. The German motor industry was facing collapse and he quickly turned his attention to a third company, Wanderer; at that time they were building a 498cc engine, but it proved to be in direct competition with BMW and they were canceling production due to a lack of profitability. Janeček first began producing Wanderer motorcycles under license in 1927. 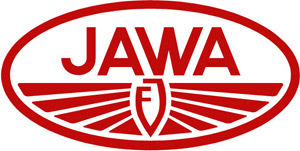 In 1929 he founded a new company, JAWA, combining the first two letters of Janeček and Wanderer. Recruiting experienced British motorcycle racer and designer George William Patchett they began plans to develop a range of competition motorcycles to promote the new Jawa brand. The first model was introduced on October 23, 1929; a 500cc single cylinder machine with a 4-cycle, 18 hp engine, overhead valves, shaft drive and a saddle gas tank. 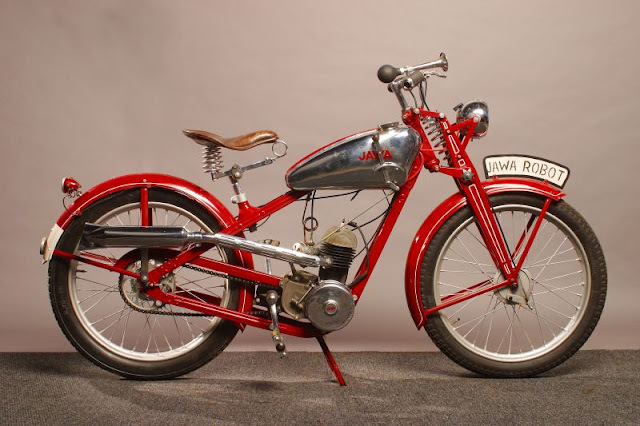 Due to a steep price tag and a number of mechanical bugs the motorcycle received a tepid introduction, but several improvements on the lubrication system, cylinder heads and connecting rod bearings ultimately rendered this first model relatively reliable. Still, sales never reached Janeček’s expectations. During the early 1930’s an economic recession convinced Janeček of the need for a cheaper and simpler motorcycle. Patchett’s contacts with the Villiers company resulted in a new JAWA model designed around the Villiers 175cc single cylinder, two-stroke engine. Released in 1932 this light (70 kg) machine was capable of speeds up to 80 km/h. The Jawa 175 cost only 4,250 kronen compared to 7,000 or more for comparable machines and was an immediate success in the first year of production, selling over 3000 motorcycles; in comparison the 500cc model had only sold about 1,000 in three years. 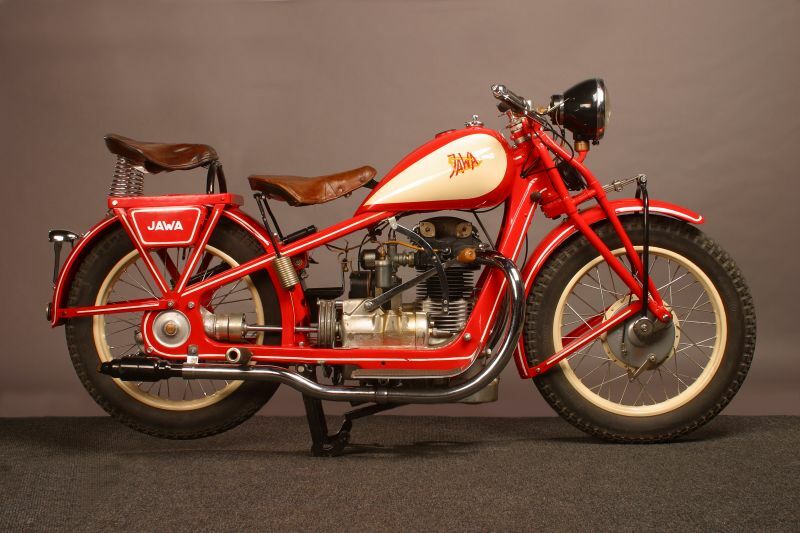 By 1933 the Jawa 175 was the most popular motorcycle in Czechoslovakia and Janeček took the big 500cc bikes out of production. 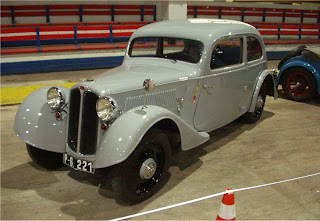 The Jawa 175 continued production until 1946 and some 27,535 units were built in that time. In 1934 Jawa introduced its first car, the Jawa 700, based on a German DKW model. The same year they came out with a 350cc sidevalve followed one year later by a 350cc OHV and their first racing bike with a 500cc SOHC engine. 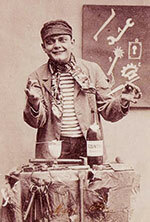 In 1937 the “Robot” was introduced (“robota” translates to “work” in Czech); a 98cc. two-stroke with mono-block construction, meaning that the gearbox was integrated into the engine block. This is a common design today but at that time virtually all machines had separate engines and gearboxes. Curiously, all of these pre-WWII models were only available in red. Continuing their foray into automotive production the modified Jawa 600 Minor was introduced in 1937. At a 1938 exhibition Jawa was the first company to offer test rides: the test motorcycle was a custom Jawa 175 equipped with dual handlebars to facilitate both a customer and an instructor. 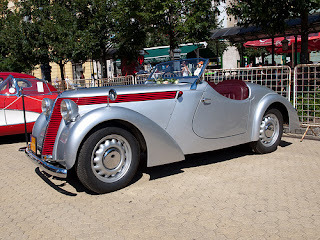 Once the Germans occupied Czechoslovakia they immediately recognized the potential of the Jawa facilities, and foreseeing the inevitable Janeček raced to transfer capital into private accounts: at the same time he reportedly managed to hide large quantities of unfinished vehicles and materials from the Germans. In April 1939 the Jawa factory was forcibly converted to the production of German aircraft engines and generators. A fierce opponent of the Nazi regime, Janeček managed to get prototypes of an anti-tank weapon later known as the “Littlejohn adapter” to the British via George Patchett (who later in the war invented the 9mm Sterling sub-machine gun) and by some accounts actively engaged in industrial sabotage. While his son Karel worked on the tank weapon in England, František continued secret development of a new motorcycle that would be reliable, simple, and comfortable. 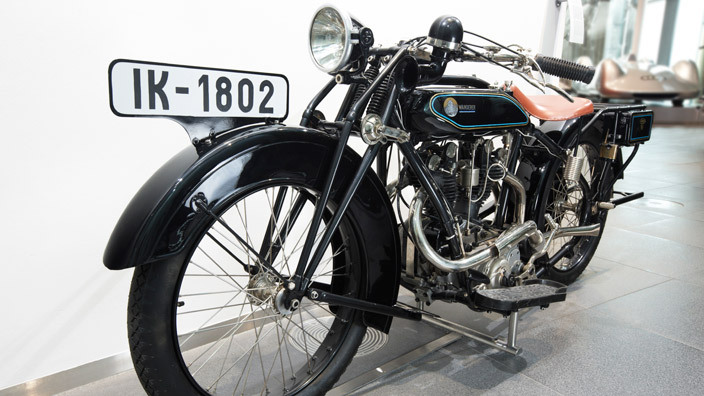 The motorcycle was actually built in a service department that was actively conducting repairs for the German army, in effect “hiding in plain sight”. Code named the Perak (“to spring”), the prototype was painted army green and brazenly tested in front of an unsuspecting German security force. František Janeček reportedly died from lung cancer on 4 June 1941 and the Jawa company was originally taken over by his son Karel. With the Perak a foundation was laid for post-war production, and in 1946 Jawa was set to launch far ahead of any competition with their factory intact, ready access to stock and capital and a fresh design: in effect they were the first motorcycle company on the European continent to come on the market with their 249cc. one cylinder two-stroke. 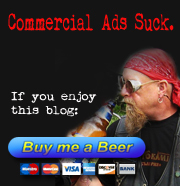 But the company was nationalized under the communists and Karel returned to England, later immigrating to Canada. 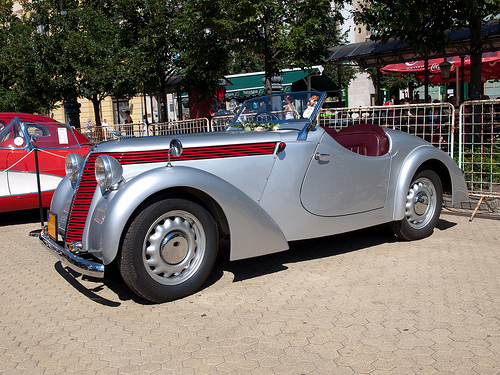 In 1948 the socialist economic planners began merging production lines, and in the same year the first series of 350cc engines appeared in the original Perak frame. This model was first introduced as Jawa-Ogar because it was produced by a separate company, but in the same year both Ogar and ČZ Motorcycles were actually merged with Jawa. The Jawa 350cc. had a two cylinder engine with flat pistons, reverse flow and a top speed of about 65 mph. In 1952, Jawa released an OHC four stroke, 500cc two cylinder series of racing bikes, but development soon stopped due to production difficulties. In 1954 the new 250cc and 350cc bikes went into production as the Jawa-Cz Kyvacka (“swing”): lighter versions in 125cc and 175cc were also produced. But as the Soviet Union expanded production concentrated on the Jawa 354 sidecar machine which was deemed a more practical vehicle than solo models. ESO, another Czech motorcycle factory specializing in racing machines, joined Jawa in 1964. ESO had been founded by motorcycle racer Jaroslav Simandl in Divišov in 1948; after running the six day motorcycle race in England he began manufacturing spare parts for J. A. Prestwich engines, popular power plants that were being used in Brough Superior, A. J. Stevens and HRD Motorcycles (forerunners of Vincent ). Demand for Simandl parts led to his own engine design in 1950, a short stroke S 45. These new motorcycles were immediately popular -they gained some degree of fame in the late sixties and the early seventies driven by racers such as Briggs, Mauger and Olsen- and became known as the Speedway motorcycles. 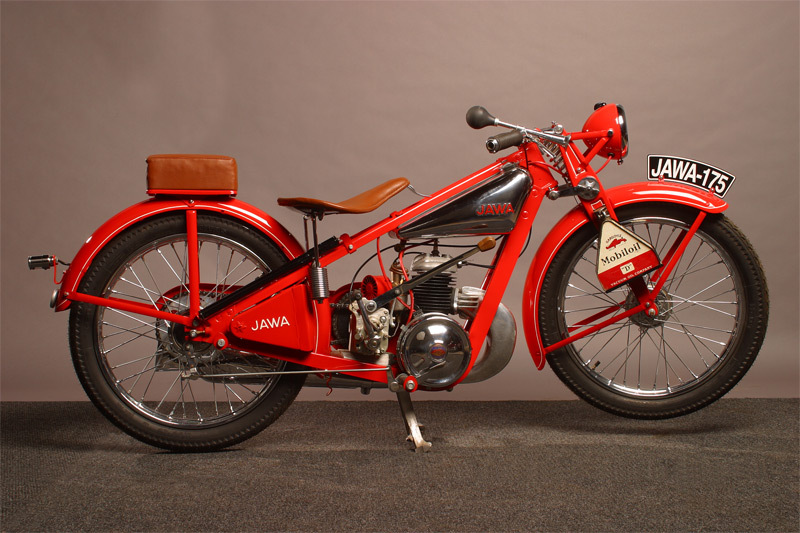 Following the dissolution of the union of the Czech and Slovak peoples into separate states and the dismantling of the socialist economies, the Jawa consumer motorcycles and the Speedway competition models were divided into separate companies. Jawa Speedway was privatized in 1994, and remains a relatively successful manufacturer of on and off road racing machines: Jawa itself has struggled, although there is a continuing export market. 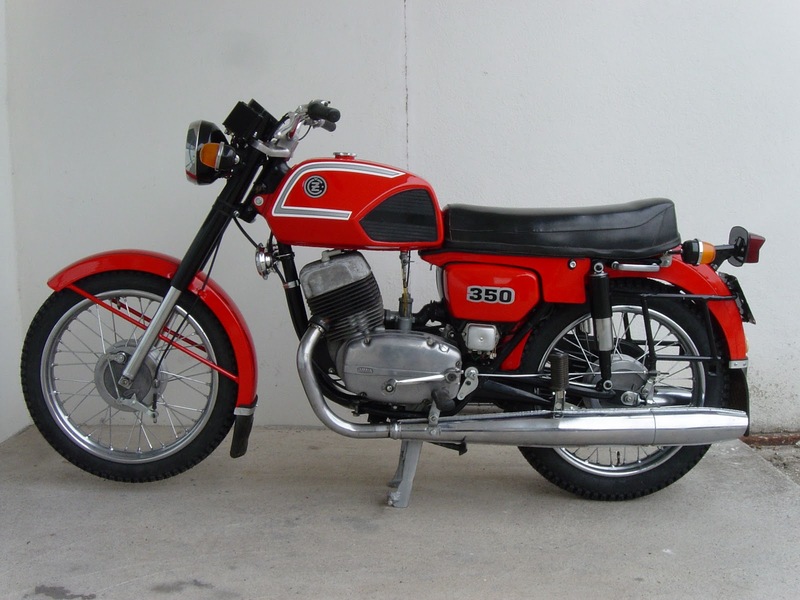 Today the company mainly produces copies of Honda 125cc and 50cc motorcycles along with a 650cc Rotax engine driven machine available in classic, street and “Dakar” designs.